Aligned with our goals to continuously evolve and stay at the forefront of design innovation, we're pleased to announce the launch of three new Fusion patterns and one new ViviGraphix Gradiance pattern. Our Fusion collection, as the name implies, features designs created by combining two or more pattern types. Our three newest Fusion options blend Impression and Eco-Etch® patterns, resulting in unique, visually intriguing surfaces. Carbon represents an Impression pattern inspired by folded paper; its elongated hexagonal shape is repeated to produce a modern geometric feel. 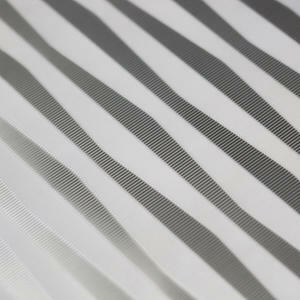 Fine Eco-Etch stripes add dramatic effect and emphasize the shadows created by the raised surfaces. Carbon is the perfect way to bring visual interest to any contemporary space. 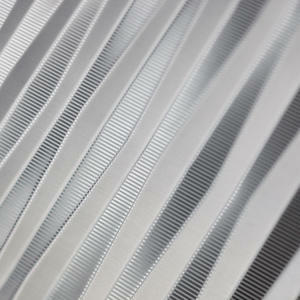 Mesa is an update to our Champagne pattern with a modern, architectural twist. 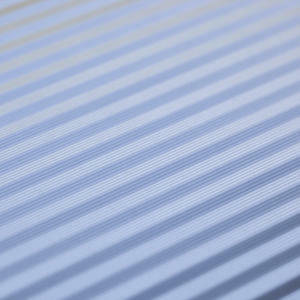 The Impression pattern creates depth with varying levels of plateaus, while the Eco-Etch pattern, inspired by shafts of light, steps across the plateaus in alternating directions. The juxtaposition of crisp lines and shifting shadows will bring energy and movement to any space. Moraine, like the glacially formed ridges for which it is named, features our Denver Impression pattern and a clean vertical Eco-Etch stripe. Moraine has a steady, rhythmic feel to it, making it an ideal backdrop for a wide range of settings. 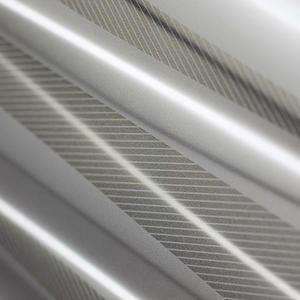 Our newest VividGlass pattern is a member of our ViviGraphix Gradiance line. 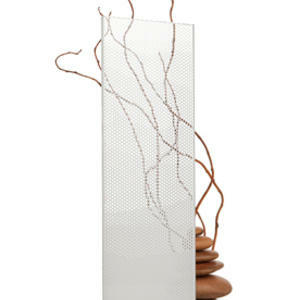 Gradiance consists of one or more color graphic interlayers between two lites of glass. 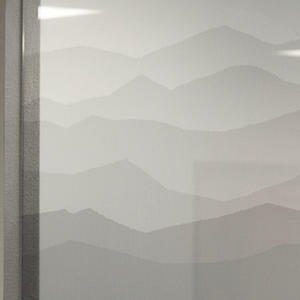 Interlayer patterns can fade from opaque to clear in numerous ways, making Gradiance an ideal solution for partitions, room dividers and other applications where semi-privacy is desired. It is also stunning in backlit configurations. Montane, inspired by a mountain landscape, is our newest Gradiance pattern. Montane’s mountain ranges are comprised of a grid of tiny hexagons that become more open as they stack up, giving the appearance of mountains fading off into the distance. Montane is available as a configurable triptych, allowing you to mix and match sheets to create your own landscape. Learn more about our exciting new Architectural Surfaces, as well as all of our surfaces, in our new Architectural Surfaces Catalog below.